The first shortlist for the 2017 Coffee Spot Awards is the “Most Unlikely Place to Find a Coffee Spot” Award, won in 2016 by Jake’s Coffee Box. Finding Coffee Spots in cities such as New York, Edinburgh or Manchester is to be expected. However, good Coffee Spots are everywhere, some of them are in very unexpected places, both geographically and in terms of setting. This Award is very much defined by the nominees on the shortlist. Some of these are geographical, a reward for bringing great coffee to unexpected places. Others are a recognition of a great or unusual setting for a Coffee Spot. There are 15 Coffee Spots on the shortlist this year, all listed in order of publication. Wherever I look, I find great coffee, so it shouldn’t really surprise me that when I head out to the west coast of Ireland and the lovely little city of Galway, not renowned for it’s great coffee, that I find not one, not two, but three great coffee shops. Leading the way is Coffeewerk + Press, a multi-roaster that doubles as a design store, spread over three floors of a cosy building in the heart of the city. It’s also shortlisted for the Best Outside Seating Award. 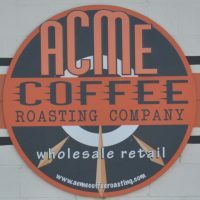 I’m indebted to my friend Karen for putting me onto the lovely Acme Coffee Roasting Company since without her help, I would never have found it. Acme isn’t satisfied with being tucked away off the beaten track in the Californian town of Seaside (yes, it is by the sea). No, just to make sure no-one finds it, it’s hidden in the back of a parking lot. Only lots of people do find it. All the time. Acme is shortlisted for this year’s Smallest Coffee Spot & Special Awards. 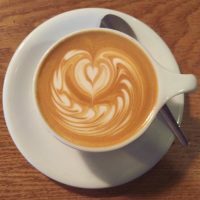 For years, Staffordshire’s finest, Has Bean, has been roasting some excellent coffee, served up and down the country (and further afield) in various coffee shops. 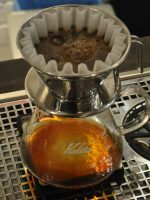 However, for 72 days earlier this summer, you could get, for the first time in 14 years, coffee roasted and served by Has Bean with its Made by Hand Coffee Pop-up filter bar in the UniQlo store on Oxford Street. Made by Hand was also shortlisted for Best Saturday Supplement and Most Popular Coffee Spot Awards. 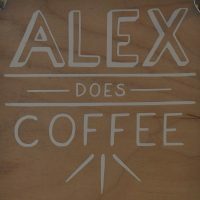 Bristol is not short of good coffee shops, but Alex Does Coffee stands out for its unusual location. On Old Market, east of the centre, Alex Does Coffee occupies spacious surroundings on the ground floor of Two’s Company, a creative hub and studios. Alex Does Coffee pretty much does what it says on the tin, Alex doing coffee from an espresso machine at the back of the main space. Also shortlisted for the Most Passionate About Coffee Award. 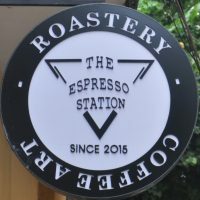 I was very impressed with speciality coffee in Vietnam, particularly in the smaller cities, such as Hoi An, where I found The Espresso Station, a delightful roastery/coffee shop, tucked away down an alley north of the historic centre. I’m indebted to fellow coffee blogger, Bex of Double Skinny Macchiato for the heads-up, without whose help I’d have never have found it. The Espresso Station is also shortlisted for the Best Outside Seating Award. These days, you can find speciality coffee everywhere. I’m surprised though, that there aren’t more ice cream parlours serving speciality coffee. An exception to this rule is La Gelatiera, which can be found on London’s New Row, just off St Martin’s lane. 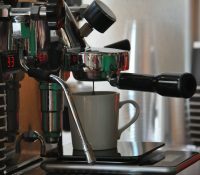 There are two espresso blends from Terrone & Co served on a Victoria Ardunio lever espresso machine. Cracking ice cream too! La Gelatiera is also shortlisted for the Smallest Coffee Spot Award. Coffee shops in barbershops have a good heritage, but there’s always room for me. Ritual Barbers in Madison is a lovely spot, with barber chairs on one side and a gorgeous coffee bar on the other side, serving both espresso and pour-over from local roasters, Kin-Kin. It’s one of three entries from Madison in this year’s shortlist. Canterbury has some fine coffee shops, tucked away in picturesque settings down narrow, medieval lanes. 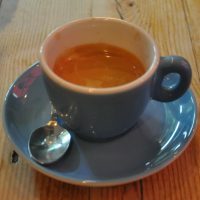 Then, down by the bus station, in the modern part of Canterbury, there’s Lost Sheep Coffee, an unexpected oasis of excellent coffee (now roasted in-house) served from a lovely little coffee pod (which is now bigger and better than ever). 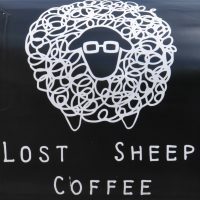 Lost Sheep is also shortlisted for this year’s Best Takeaway Coffee and Special Awards. Great coffee in offices is still a rarity. Therefore I was pleasantly surprised when I arrived for a week-long meeting in River North Point, an office block on the northern bank of the river in Chicago, to find a lovely multi-roaster, Infuse Coffee & Tea Bar, that had opened a few weeks earlier. 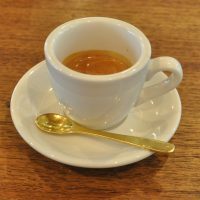 Serving espresso and batch brew from a range of roasters, including several locals, I was a daily visitor. Also shortlisted for the Most Passionate About Coffee Award. I’m a great fan of great coffee in railway stations and there is no better example than Porter. It’s just a shame that the station in question is closed. However, it’s enough to get Porter shortlisted for this year’s Best Coffee Spot Near a Railway Station Award. The second entry from Madison, Porter serves Counter Culture from North Carolina, with the Hologram espresso blend, plus different single-origins on guest espresso, pour-over, bulk-brew (drip) and on cold brew. 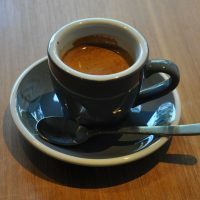 Porter is also on the Best Overseas Coffee Spot shortlist. I don’t have a “Most Stunning Setting For A Coffee Shop” Award, but if I did, Vermillion Café would be the hands-down winner. Instead, it’s a front-runner for the “Most Unlikely Place…” Award. Tucked away down one of a maze of narrow lanes near the northern entrance to the path up Mount Inariyama in Kyoto, there’s a terrace at the back, overlooking a large pond, which got Vermillion on the shortlist for the Best Outside Seating and Special Awards. Still in Japan, this time in Tokyo, Nem Coffee & Espresso is tucked away down a narrow, pedestrian alley. You think you’re walking into a residential area to visit someone’s house, which is not too far from the truth. The coffee shop is on the ground floor of an old house, painstakingly renovated/ converted by the owners, a married couple who live upstairs. Nem’s also shortlisted for the Best Espresso & Most Passionate About Coffee Awards. The Lake District is renowned for stunning scenery, majestic mountains and, above all, lakes. Speciality coffee? Less so. 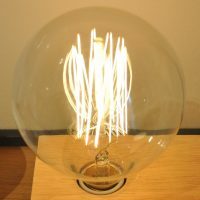 However, if you know where to look, there are some gems to be found, such as Homeground Coffee + Kitchen. This does what is says on the tin, with excellent, locally-roasted coffee from Carvetii & equally excellent breakfasts/ lunches. Homeground is on the Best Coffee Spot Near a Railway Station & Best Breakfast shortlists. The third and final entry from Madison is Kin-Kin Coffee at Festival Foods. 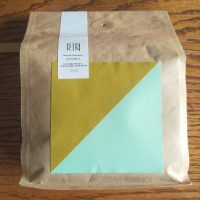 Kin-Kin is a local roaster and Festival Foods is a local supermarket, so they’re a natural combination, but one that doesn’t happen nearly often enough. Kin-Kin has a lovely coffee stand at the front of the store, where it really catches the sun. 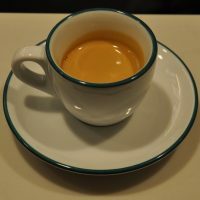 Although small, there’s an impressive output including various single-origins on espresso and pour-over. 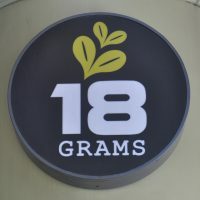 Talking of speciality coffee in supermarkets, our final entry in the first shortlist is 18 Grams, the Hong Kong based roaster, and its coffee bar in the City Super supermarket, which itself is in the basement of the Times Square shopping centre. Like many of the entries in this shortlist, it’s not the easiest place to find, but it’s worth looking out, an oasis of calm and excellent coffee in the hustle and bustle of Hong Kong. Don’t forget to check out the other 19 Coffee Spot Awards for 2017.